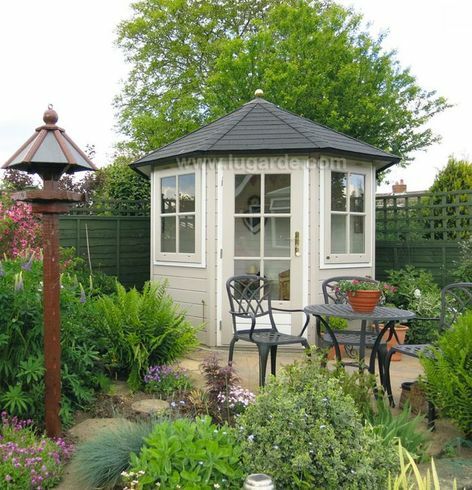 An attractive octagonal summerhouse for smaller gardens. A summerhouse to comfortably sit four people, or you could use it for garden storage. 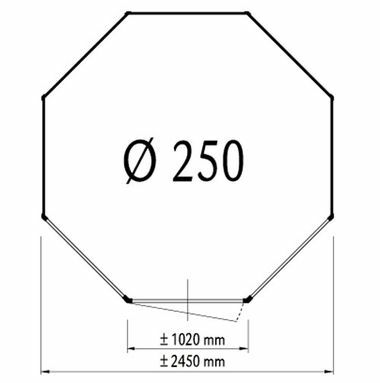 Size approximately 2.5m in 28 mm log thickness. The standard Package includes 2 top-hung windows PX37 and a single door PX39. Measurements are taken to the outside faces of the walls.